Start taking classes at Bright Light Yoga and other studios! Bondi Pavilion The Seagull Room (upstairs and turn left) Increase your energy levels, balance and strengthen your body, massage your nervous system. 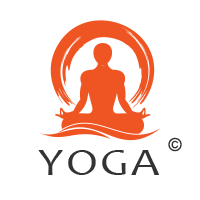 Yoga is a great practice by itself or in conjunction with your sports and activities like surfing, cycling and running. There are no upcoming “Bright Light Yoga @ Bondi Beach Seagull Room” classes on this day. Open to all levels. Beginners are welcome. Yoga mats available for use and there are change rooms on site. On arrival at the Bondi Pavilion please go up the stairs to the Seagull Room which is located at the north end of the first floor on the left. I learned so much from Nigel, great class. achieved my first solo head stand! Fantastic class! Nigel is a great teacher. He actually teaches correct postures unlike most. Thoroughly recommend this class. Nick was an excellent teacher, very knowledgeable and made the class interesting and dynamic. Plus helped me individually a few times in postures to get my maximum flexibility and get into poses in ays I havent been able to before. Extremely knowledgeable teacher - Ive never learnt so much! Nigel is an excellent yoga teacher and will come around to correct your positions so that you get the most out of your workout. Would definitely recommend! Great teacher, spent the time to understand what you needed.